This is a very rare and unique natural gold crystal from Venezuela. It has an incredibly unique shape with multiple elongated octahedron gold crystals individually formed and joined together in an amazing cluster formation. The crystals have multiple faceted sides, how cool is that? The detail is absolutely incredible. 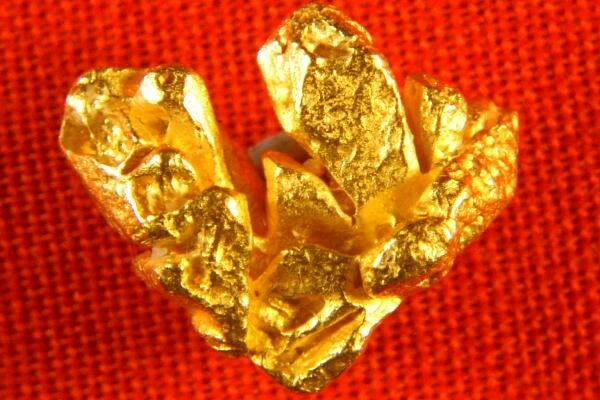 It was recovered in Zapata, just outside of Ikabaru, near Santa Elena de Uairen in Venezuela by Venezuelan miners who make their living recovering these gorgeous gold crystals in the jungle. 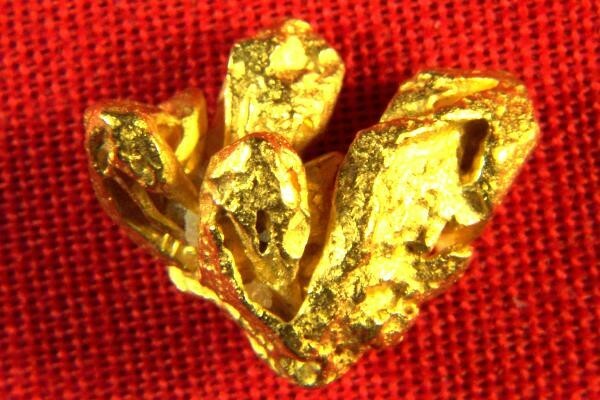 This multi-crystal gold nugget is 7/16" (12 mm) long and it weighs 30.4 Grains (1.97 Grams).